The hand-crafted American Made Large Rhino Armor Trunk™ is constructed from the highest quality components. Rhino Armor™ is an exterior 1000d Cordura Nylon textured sheathing that’s highly resistant to water penetration, denting and scratching. The Rhino Armor is laminated over 3/8” Baltic Birch hardwood plywood. Rhino Armor Trunks™ are available in 19 colors and weigh about 20% less than steel trunks. They not only are just as strong as steel trunks, but are actually more durable. Third trunk for the third child! All of our kids have LOVED the sturdiness and security that these trunks offer. They are still in use after seven years of annual trips to dorms and apartments (and even home again). Excellent product, far exceeds trunks available in stores. Speedy delivery, too. Thanks! Absolutely love it, for daughter first time in college,it was exactly what I ordered and arrive on in prefect condition.thank you. 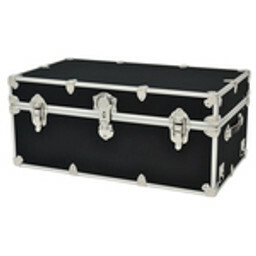 The trunk was ordered for my son to take to college (Freshman). It was a last minute purchase. The trunk arrived in perfect condition and exactly when I was told it would. My son loves the trunk and it's perfect in his dorm. I love the quality of the trunk and the customer service is superb. I wouldn't hesitate to order again, and I'm already steering friends to Trunk Outlet. Often when you order something online, it seems the quality is less than expected....Not the case here! 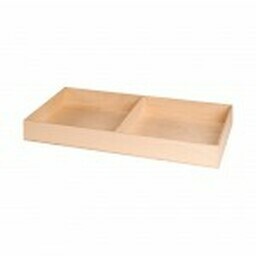 I am super impressed with the quality and it will be perfect for my college student to keep and move around. Great purchase, awesome delivery time. When I received the trunk, it was missing the wheels and the safe had a crack down the middle preventing it from locking. I called the company and they were very friendly and considerate and offered to replace the trunk immediately. I received the new one within a week with the safe working properly and wheels included. I can't say enough about the courtesy of the person I spoke with and how timely I received the replacement trunk. The craftsmanship of the trunk is top quality. A suggestion would be to line the inside with a nice quality paper or cedar paper. Excellent Trunk ...Even better service!! I needed a better quality trunk than the flimsy pressboard trunk with the wimpy hinges we had previously bought for my daughter to take to camp last year. The "Seward" brand had failed after only 1 year due to its poor construction. I found The Rhino trunk online at TrunkOutlet.com. My questions on the phone about size, construction materials and receiving the shipment on time were all answered very knowledgeably and courteously. 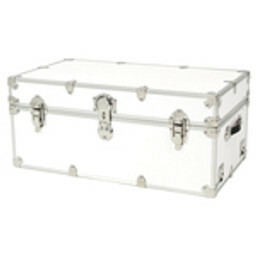 The trunk was delivered very quickly and is of excellent construction with solid hardwood and sturdy hinges. I have no doubt it will last many years for us. Even more impressive was that Nancy at Trunk Outlet noted that I had selected a more expensive shipping option online as I was concerned about the trunk arriving on time. Her experience told her to ship the trunk normally and it arrived 1 day early. That same day I received an Email from Nancy that I was credited the difference for the more expensive shipping I selected!! This is the kind of consideration and honesty you do not see in many businesses nowadays. An impressive product sold by an online company with integrity. I've had the trunk for a few weeks. It's very study, well built, does it's job just fine. I've purchased cheaper trunks from other companies and had nothing but regrets. This is the best purchase I've made, and will return as future needs arise. 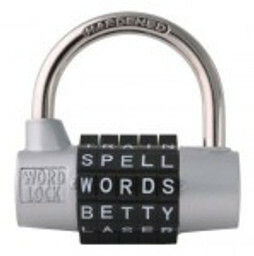 The craftsmanship is top rate, and the lock and wheels are great accessories. Bought this for my son who is going to college. 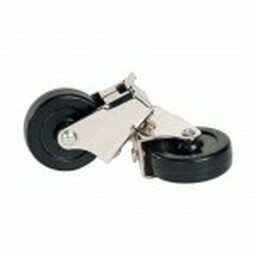 Extremely durable, deep, excellent quality and the wheels do not require tools to attach. 3 people sat on the trunk all 140+ lbs each and did not cause structural damage. 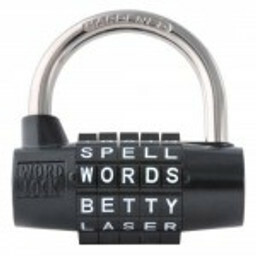 We are very pleases with this product. Will last years if not a lifetime. Thank you for such a great product. I have given three of these trunks as college gifts. The only change that I would make would be to finish off the inside a little better, other than that each child was thrilled!